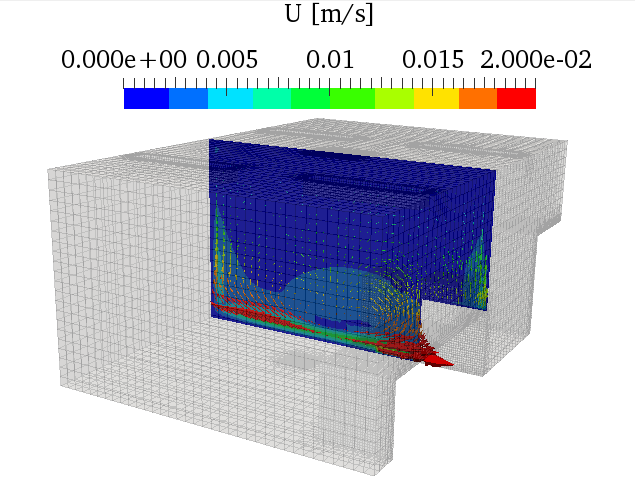 CFD simulation is helpful for the prediction of ventilation system performance. In this post, I redid the study of Kobayashi  using buoyantBoussinesqSimpleFoam in OpenFOAM. The grid is prepared with snappyHexMesh. 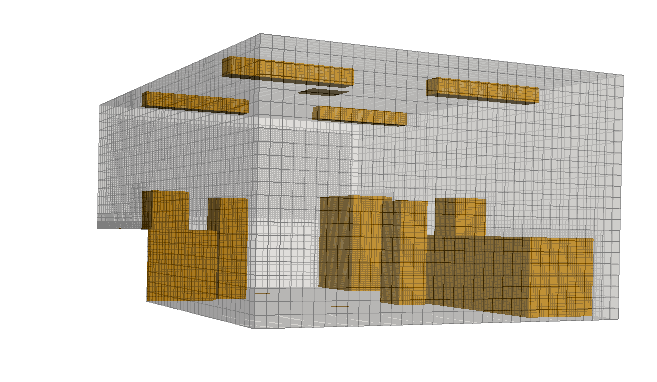 The back ground grid is created with blockMesh ant STL files are imported from CAD software (CATIA). The schematic of problem is presented in the below figure . The final grid is shown below. The RNGkEpsilon is chosen for turbulence model. In order to obtain boundary layer effect, the wall function is employed. The yPlus is around 5. The fixed flux boundary condition is employed for several boundary using groovyBC. The result of simulation is shown below. 1- Kobayashi, N. and Chen, Q., 2003. 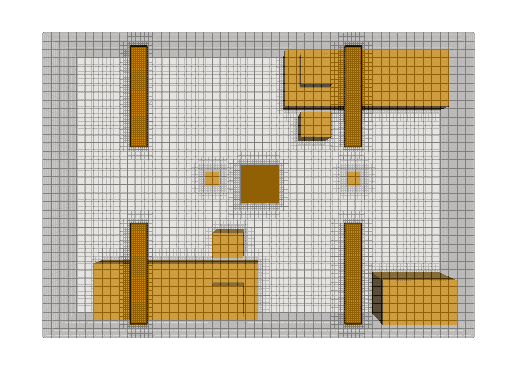 Floor-supply displacement ventilation in a small office. 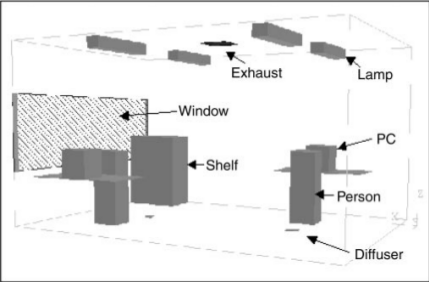 Indoor and Built Environment, 12(4), pp.281-291.